The Arkansas Travelers are a minor league baseball team based in Little Rock, AR since 1963. Games were played at Ray Winder Field until 2007 when Dickey-Stephens Park was open. In 1963, the Little Rock Travelers franchise was rebranded the Arkansas Travelers. The franchise was the third of a series of Travelers franchises. Before the team was renamed, the Travelers played two seasons in the Southern Association. However, the league folded and did not operate in 1962, leaving Little Rock without professional baseball for the year. 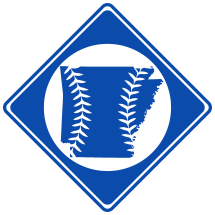 However, in 1963, Little Rock joined the AAA International League, and has played under the "Arkansas" name since.